Are We There Yet? : Last day on Kangaroo Island. 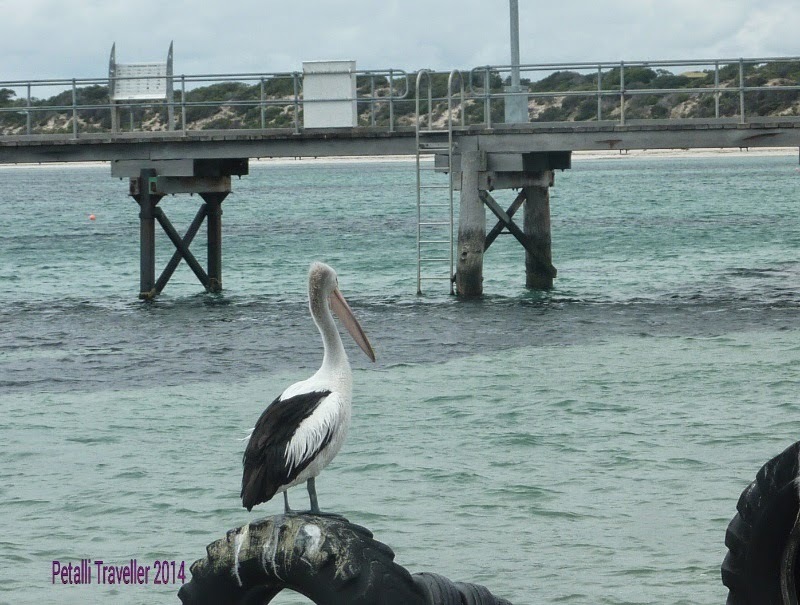 When I look back at planning this trip, Kangaroo Island wasn't even on the itinerary. It was Peter's idea to go there. After researching the camping grounds and costs involved to get to KI, we decided to take the car and van. This gave us great accommodation and transport. It is the ferry that cost the most. 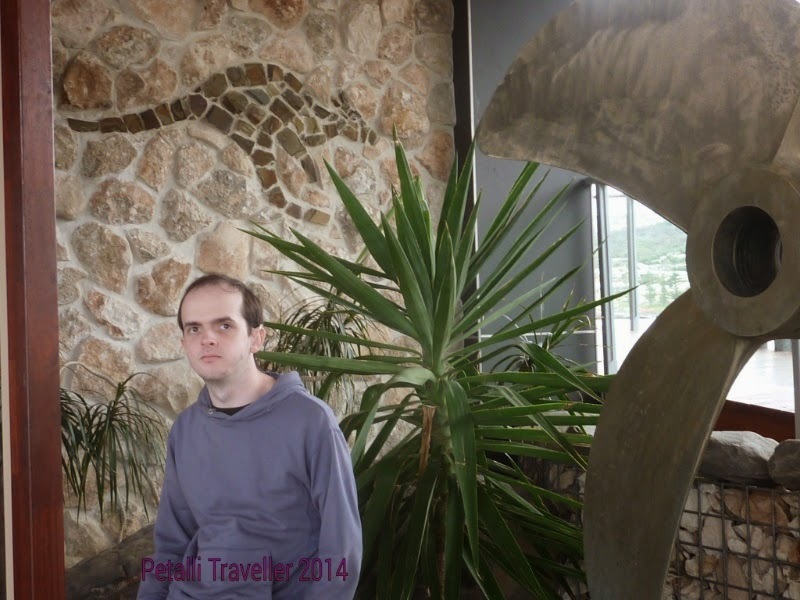 On our last day we drove north about 20 minutes to Emu Bay. It is only small but oh so beautiful. 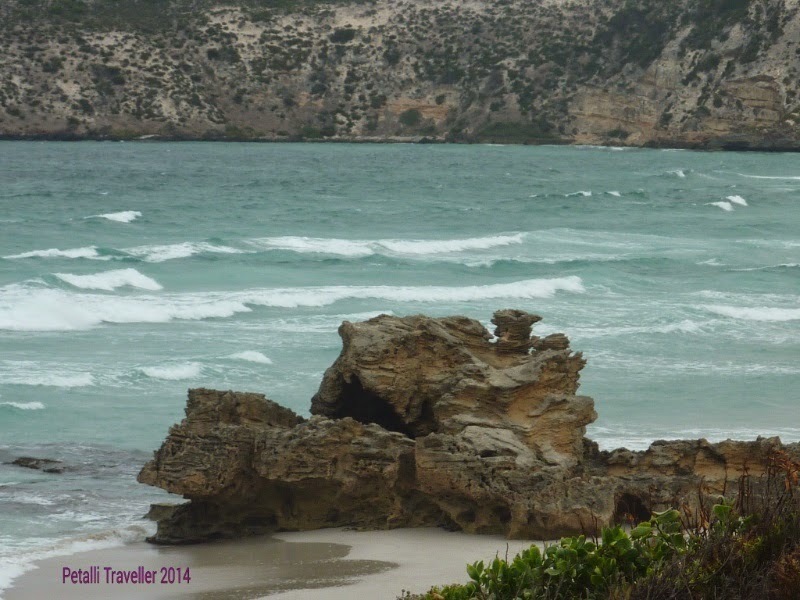 Emu Bay is a 4 km beach that one can drive on. It is hard sand and we saw many cars with dogs driving to the other end of the beach. 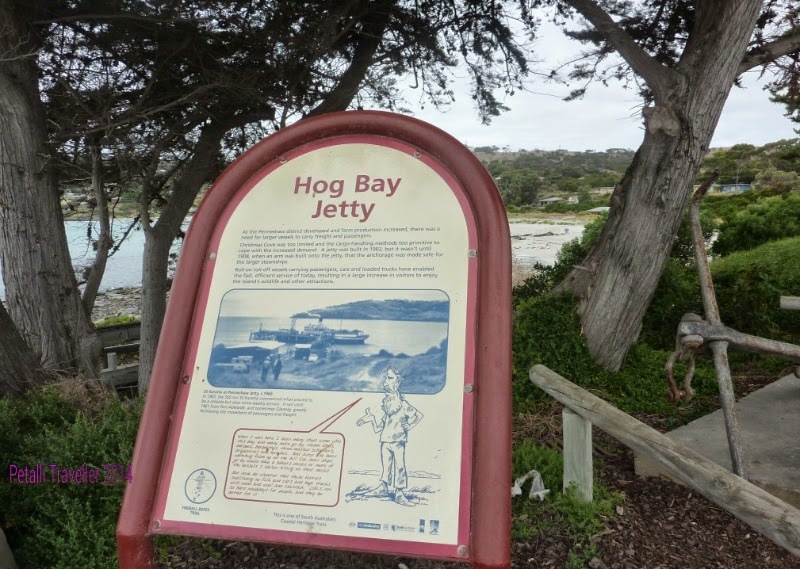 We saw many tourist photos with a penguin and the jetty. I can't believe I got a shot like these. 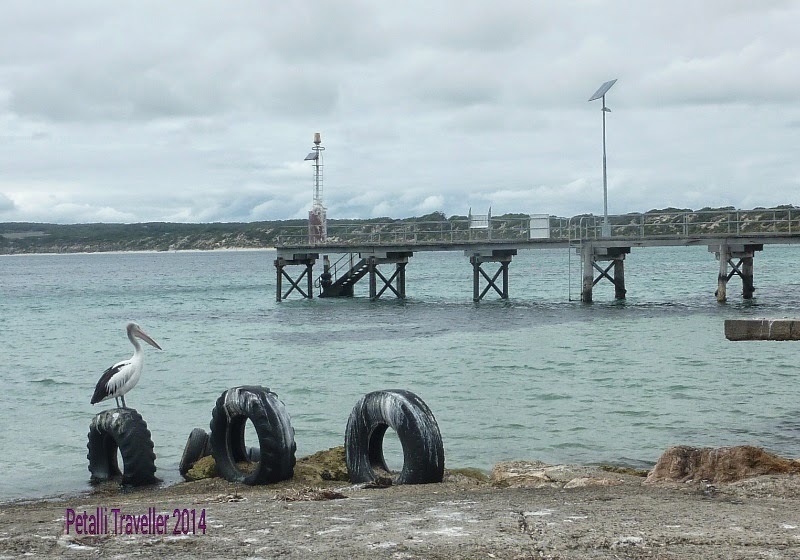 The car got sick so we couldn't explore much of the north of the island and went back to the caravan park while the car was getting repaired. 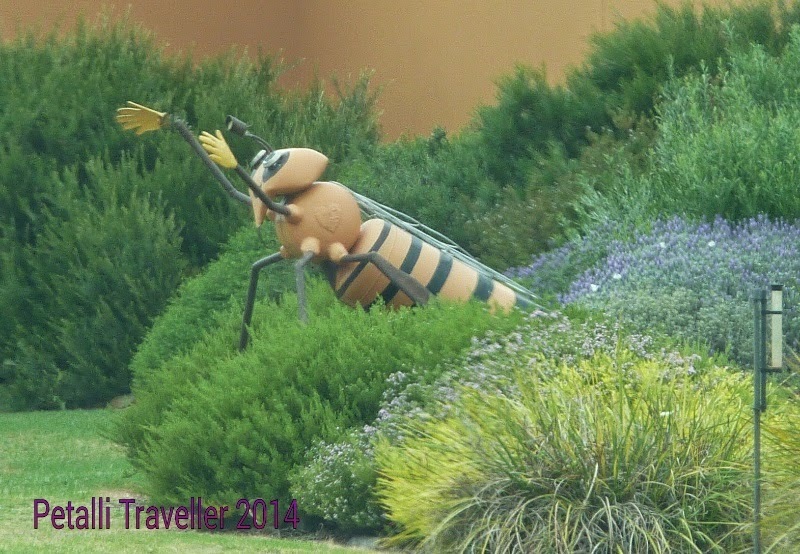 We passed a bee information centre and if the car was well we would have stopped to have a look. Who would have thought that honey was prohibited any where in Australia? One can't bring honey onto KI!! 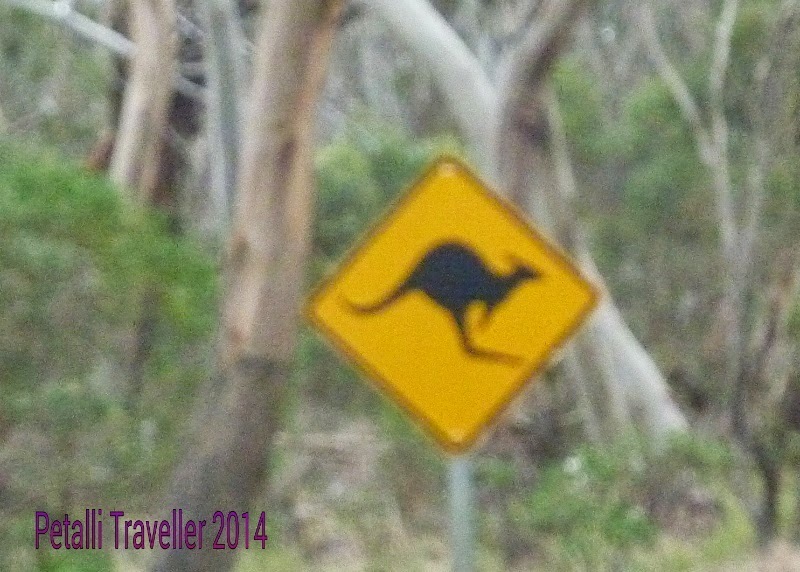 We left the next day and didn't see one Kangaroo! ! Only dead ones. We drove back to Penneshaw and waited for the ferry. 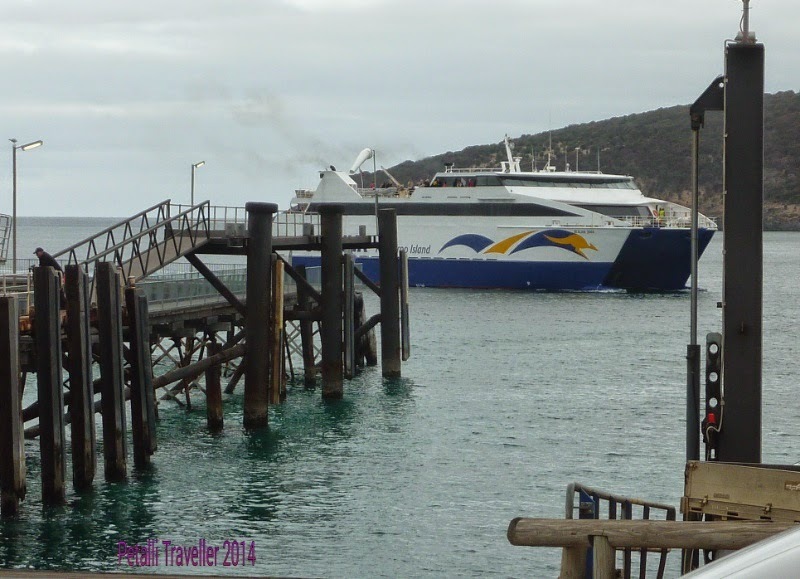 The ferry terminal at Penneshaw is under going some renovations. This area was not finished on Tuesday when we arrived. 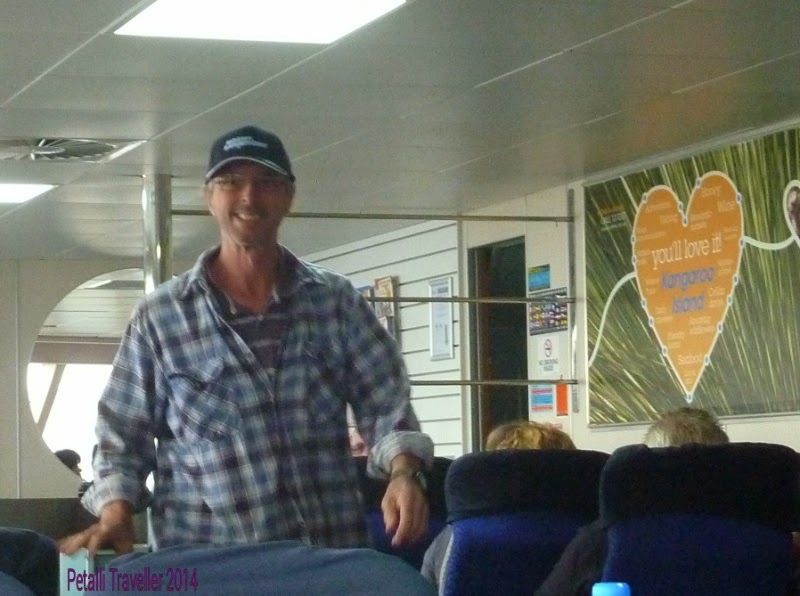 Here we are on the ferry. Peter has been out the front, while Jonnie has been playing his game on the free wireless on the ferry and I have been doing crosswords.